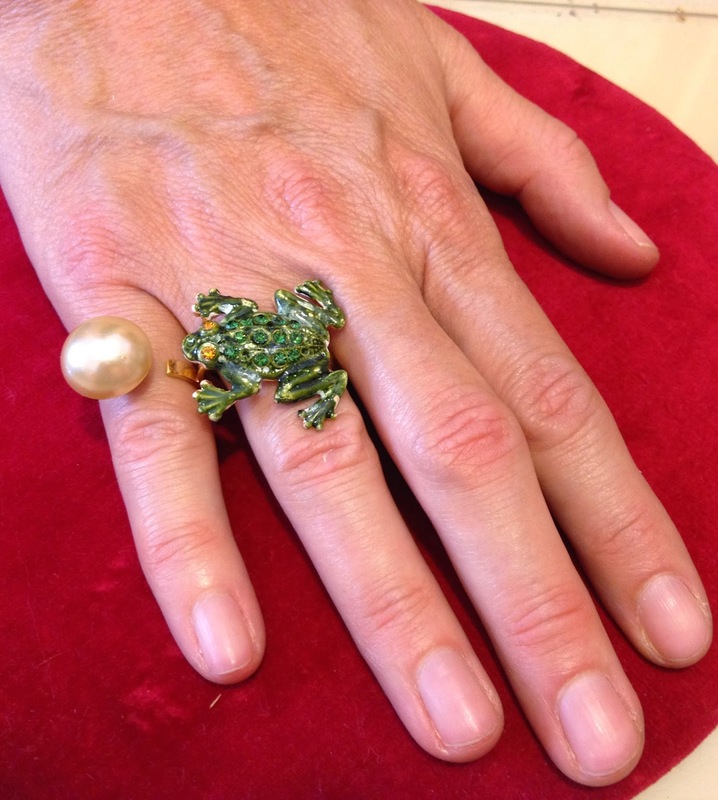 Founded in 1944 Ornella bijoux is one of the most well known and prestigious brands in the world of Haute Couture custom handmade jewelry: brooches, rings, parure and crowns are all preciously handmade, custom-fitted with artigianal ornaments. 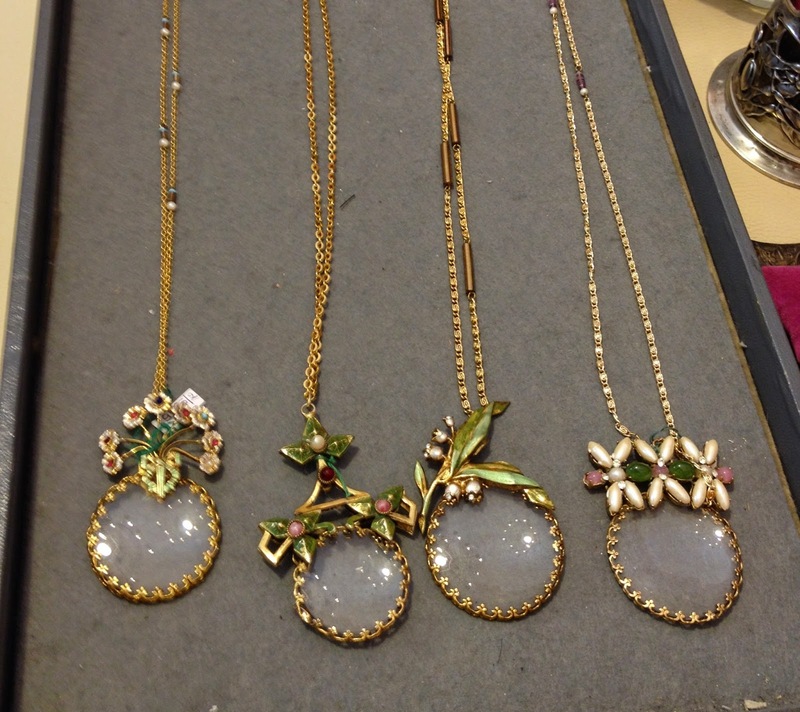 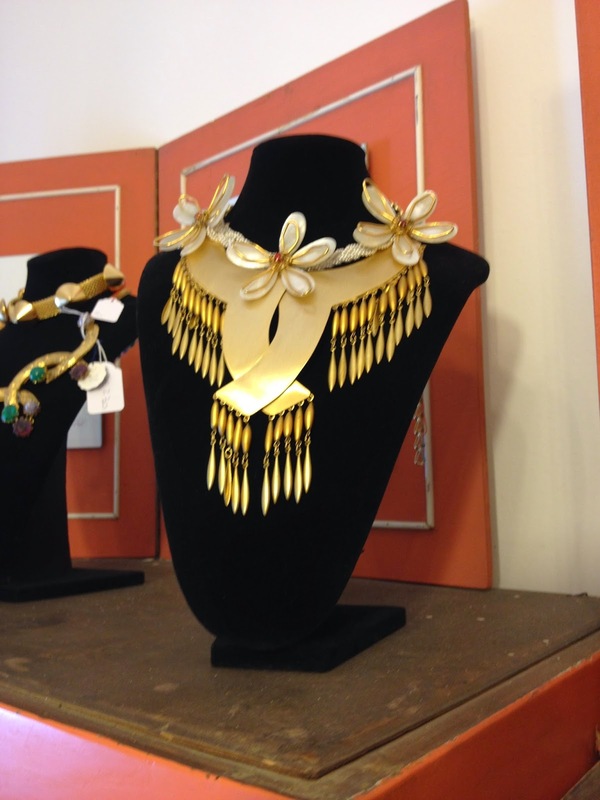 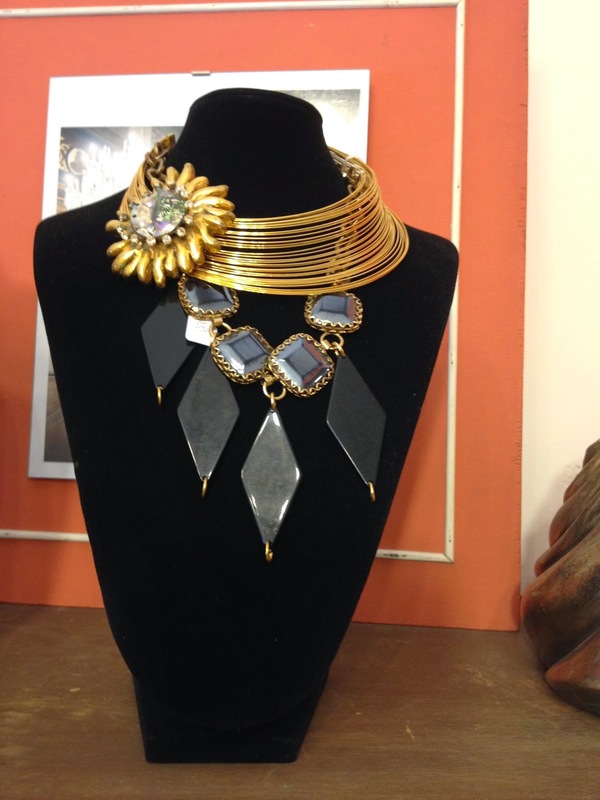 Design inspirations come from nature, the art-world and classical jewellery styles. 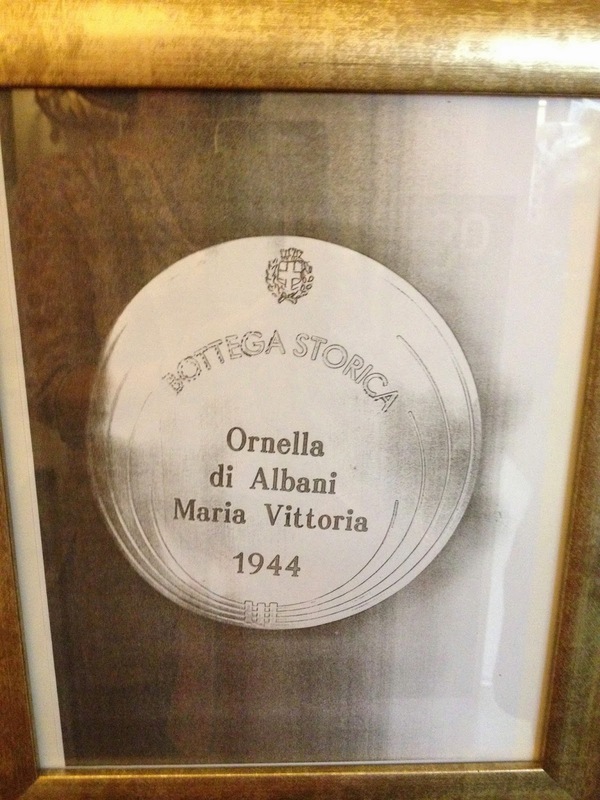 Awarded with the title of “Bottega storica di Milano” ( a prestigious title given to Milan’s historical important companies still existing today), Maria Vittoria Albani, the founder and owner of Ornella bijoux continues its tradition of made in Italy creations which are entirely designed and crafted by her. 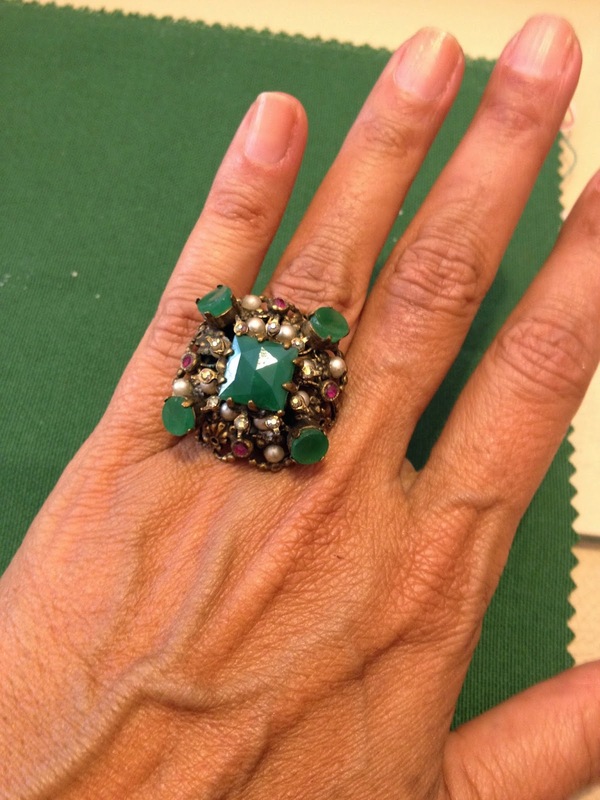 She is a very talented and creative woman who designes in her atelier, situated in the centre of Milan. 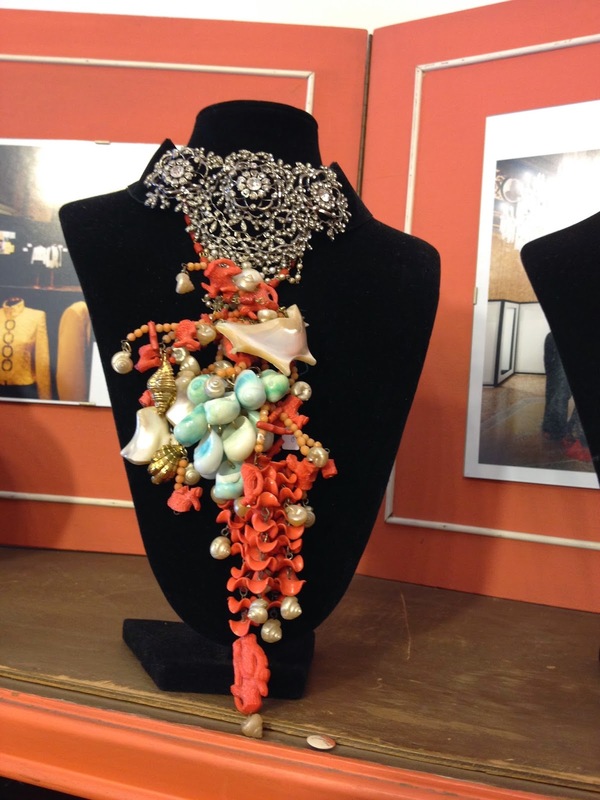 It's here where she transforms bright pearls, shiny metals, seashells, Murano glass, vintage ceramic ornaments and Swarovski crystals into unique custom jewelry pieces that are timeless. 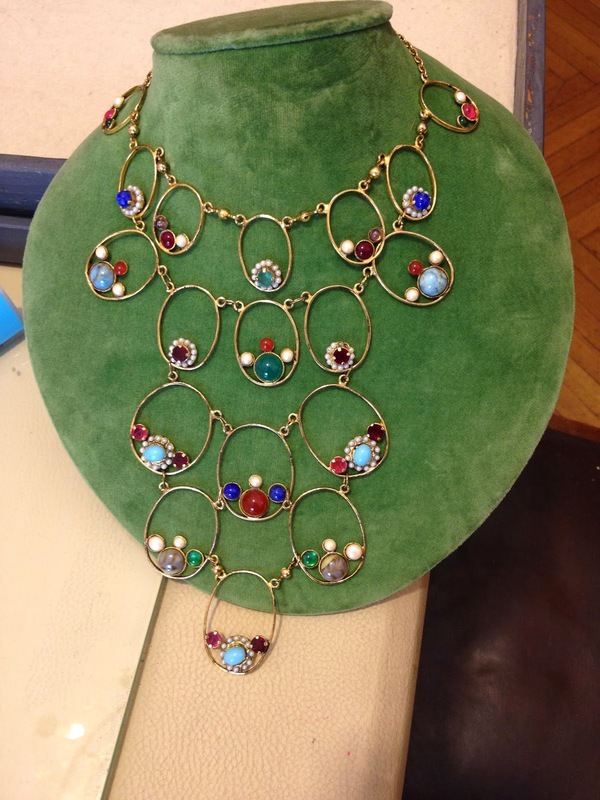 Now there comes a "greedy" opportunity: Ornella bijoux organizes an extraordinary sale of the sample and her historical archive! 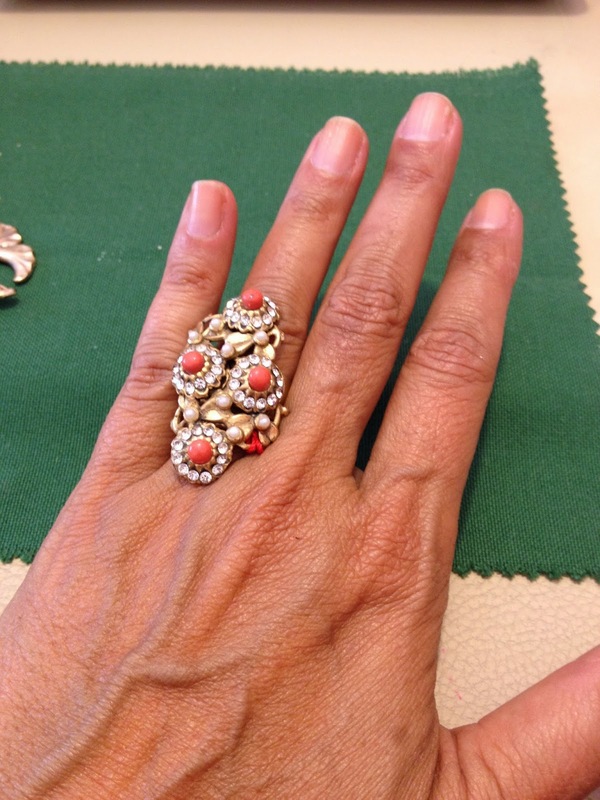 Introduce yourself with the invitation!! 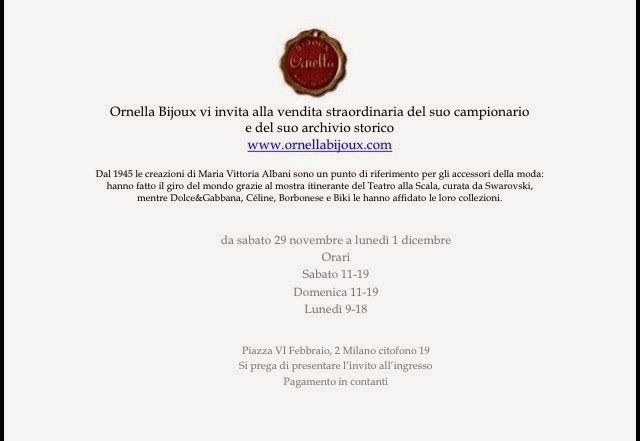 Ora ci si presenta una "ghiotta" occasione: Ornella bijoux organizza una vendita straordinaria del campionario e del suo archivio storico!